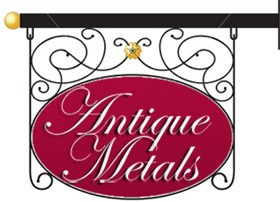 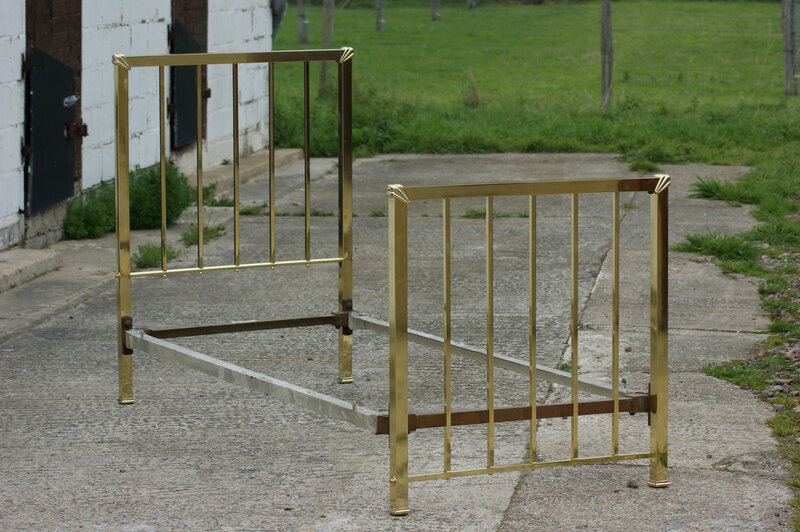 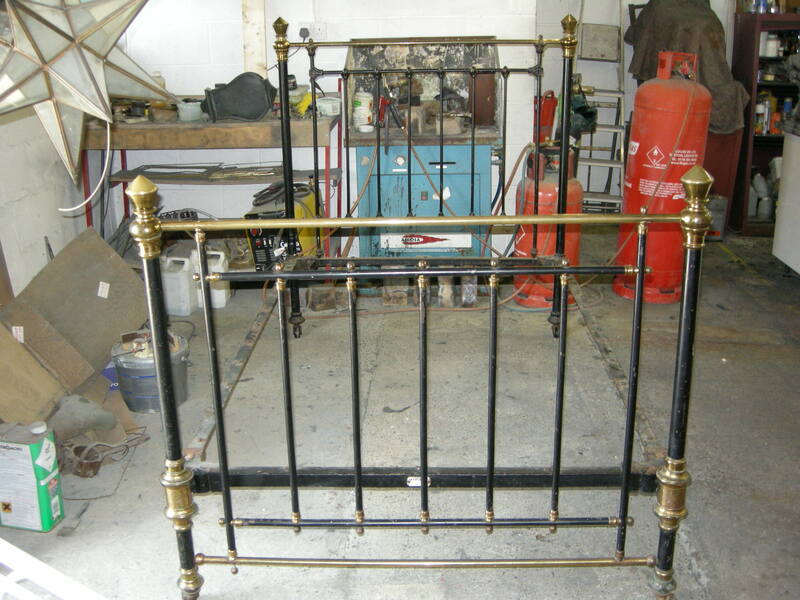 The single brass bed below came in very tarnished, the bed was striped and the brass was polished and lacquered. 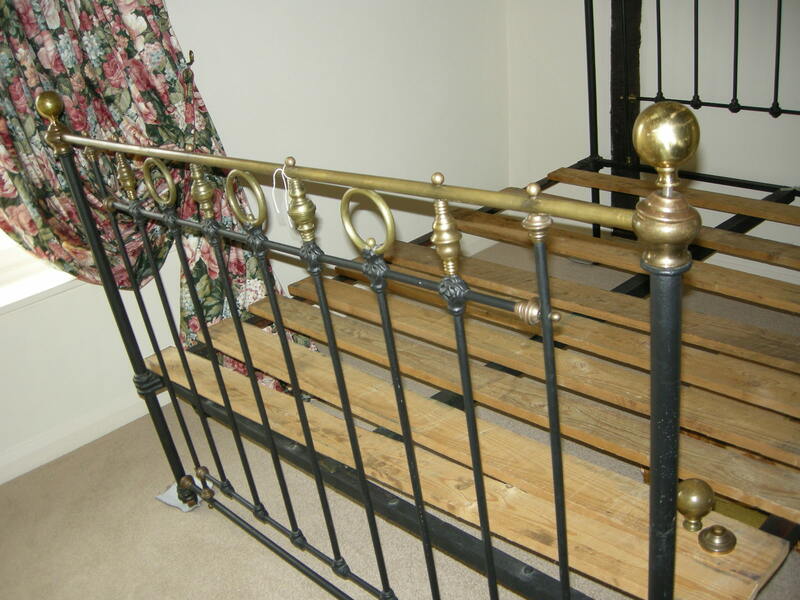 This bed came in with the brass tarnished some finials missing and the paint on the frame damaged. 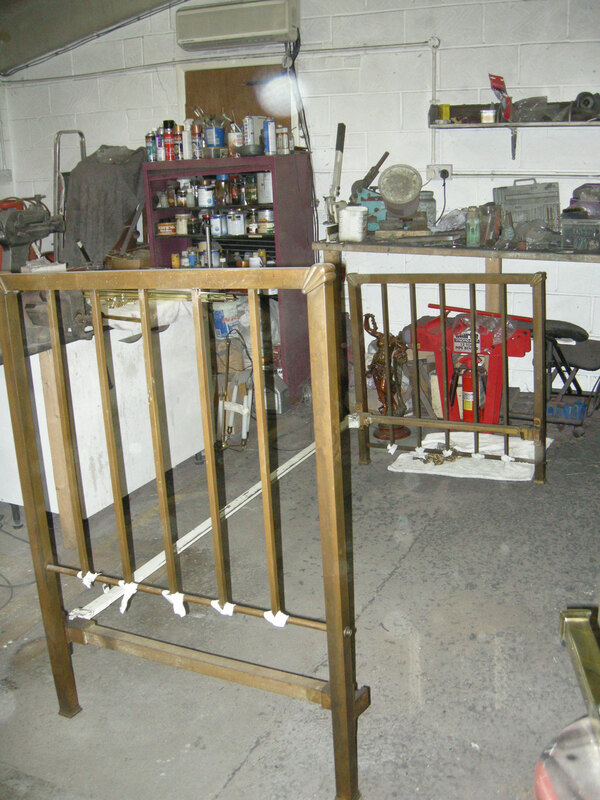 The frame was shoot blasted sprayed with zinc primer and sprayed black, the brass was polished and waxed, also some new ball finials were made. 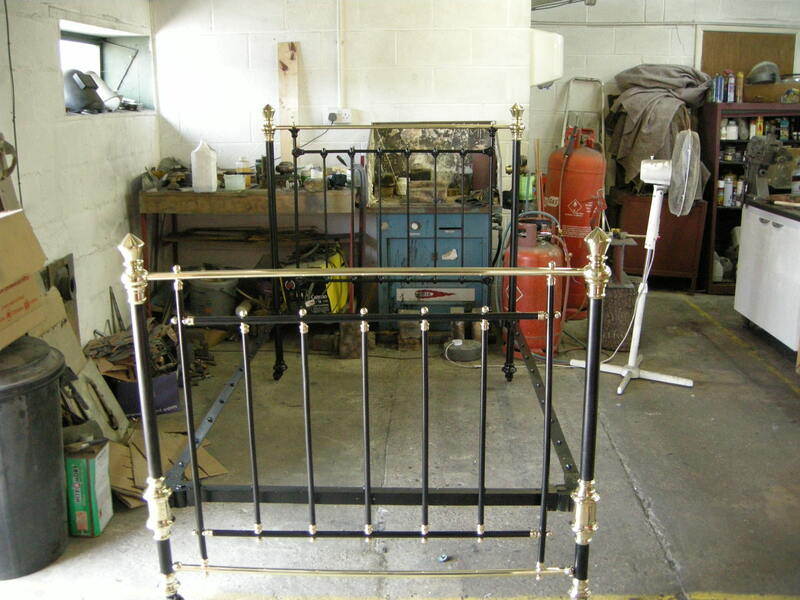 The brass work on this bed was removed. 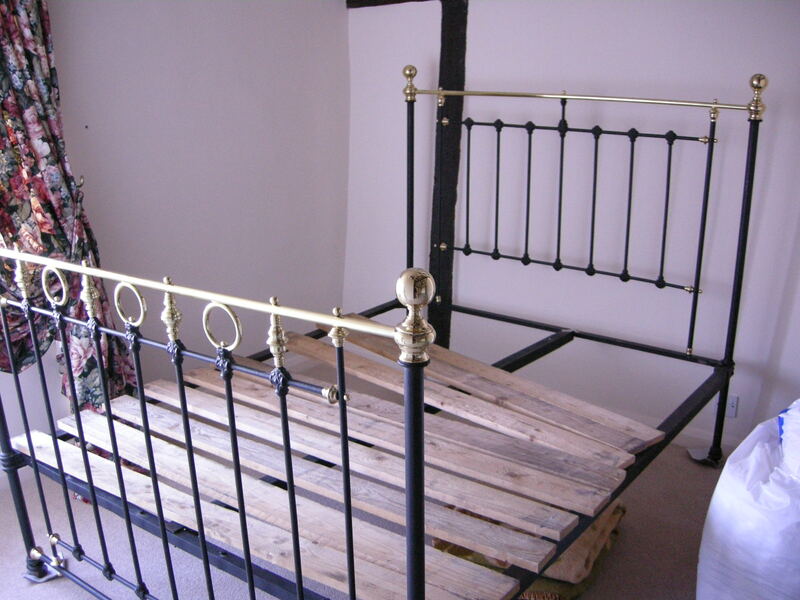 It was all polished, lacquered and refitted.